Applebee’s, the same chain of family restaurants that brought you $1 Long Island Iced Teas, is back with a spring take on their cocktail fire sale: $1 margaritas during the month of April. Pair that with a Sizzling Skillet Fajita and you have one hell of a fiesta, my friend. Money reports the dollar deal is valid from open to close at participating restaurants, and notes that Applebee’s is still reminding guests to “drink responsibly” even though the prospect of getting wasted for $4 is sitting right there on a tabletop pop-up cardboard sign. The chain debuted a month of dollaritas last October, and then introduced $1 Long Islands in December. 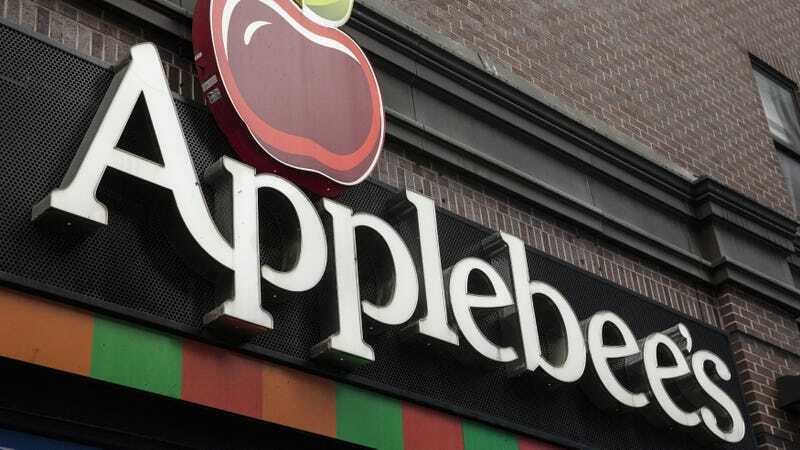 Casual restaurants like Applebee’s have struggled in recent years, as efforts to appeal to younger diners have failed. The chain’s reportedly decided to give up on its Millennial outreach, and is now focusing on its core audience: Aunt Pam who wants to get drunk on dollar margs after her T.J. Maxx shopping spree.